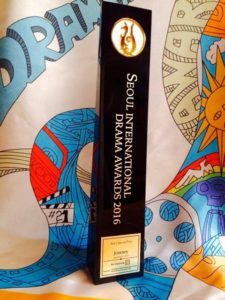 The telemovie ‘Journey’ received the Jury’s Special Prize at the 2016 Seoul International Drama Awards. 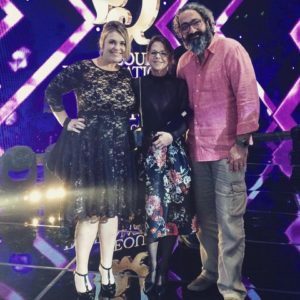 This year’s competition attracted 270 entries from 51 countries, and Muffy and Trudi together with the film’s Director, Mohammad Ghorbankarimi, attended the ceremony in South Korea on September 8 to accept the award. PIOTPs Muffy Potter and Trudi-Ann Tierney with ‘Journey’ director Mohammad Ghorbankarimi at the 2016 Seoul International Drama Awards.